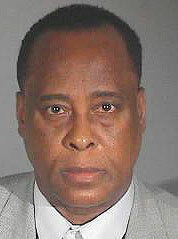 Michael Jackson's personal physician, Dr. Conrad Murray, has been sentenced to four years for involuntary manslaughter. 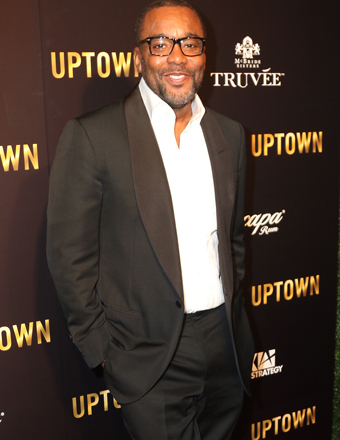 Due to a new California law, Murray will not serve his time in prison, but will stay in L.A. County jail, and will most likely serve two of his four years, according to TMZ. In a lengthy statement before imposing the sentence, Judge Michael Pastor said "Dr. Murray abandoned his patient," and called Murray's conduct "a disgrace to the medical profession." He added, "There are those who feel Dr. Murray is a saint. There are those who feel he's the devil. He is neither. He is a human being." 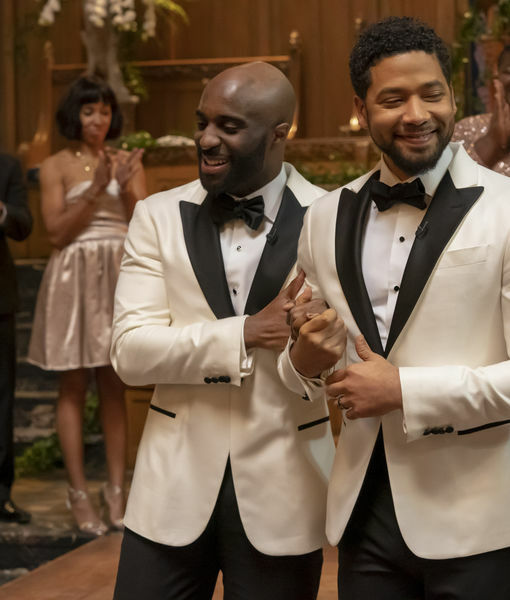 Judge Pastor ordered Dr. Murray to pay "appropriate restitution" to the Estate and to Jackson's kids at a later time, but seemed skeptical about the $100-million request made by the prosecution. The multi-million dollar amount for restitution was what prosecutor David Walgren argued Michael would've made in the "This Is It" tour. Walgren also wanted Conrad to help pay for the cost of Jackson's $1.8-million funeral. Murray's lawyer, Ed Chernoff, said his client could not afford to pay it. Murray was found guilty three weeks ago, after prosecutors successfully argued that his reckless use of propofol led to the pop star's sudden death in June 2009. 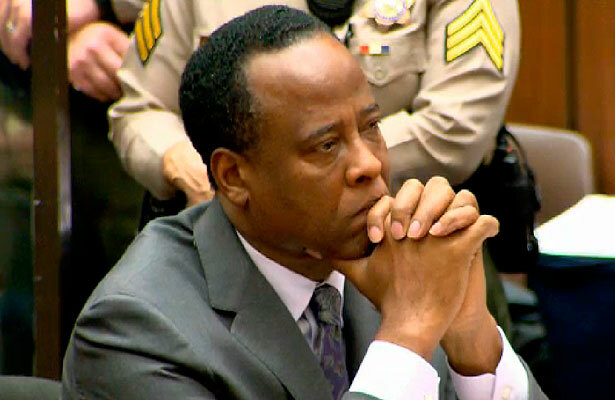 Judgment day is here for Dr. Conrad Murray -- who was sentenced on Tuesday to four years for involuntary manslaughter. Check out "Extra's" top five most shocking moments from the trial! Detective Scott Smith conducted a taped interview with Murray on June 27, 2009, two days after Michael's death. In the audiotape, which was played for the jury, Murray admitted to repeatedly giving Jackson propofol for the two months he served as MJ's personal physician. On Day 7 of the trial, jurors listened to a drugged up Jackson, from the second portion of a recording made on Murray's iPhone that was played during opening statements. In the recording, Jackson mumbled, "My performances will be up there helping my children and always be my dream. 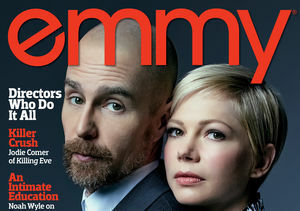 I loved them. I love them because I didn't have a childhood. I had no childhood. I feel their pain. I feel their hurt. I can deal with it." The pop star continued, "'Heal the World,' 'We Are The World,' 'Will You Be There,' 'The Lost Children'... These are the songs I've written because I hurt, you know, I hurt." Listen to the recording here, courtesy of Fox News. On the opening day of the trial, prosecutor David Walgren showed the court a graphic photo of Michael Jackson on June 25, 2009, dead on a hospital gurney. Walgren also showed a photo of a healthy looking Jackson one day before he died, dancing on the rehearsal stage of the "This Is It" tour.